Welcome to the roundup of the best new Android games that went live in the Play Store or were spotted by us in the previous week or so. Today I have a fantastic sci-fi noir point-and-click adventure game, a traditional puzzle adventure that covers some difficult topics, and a Metal Slug-themed idle clicker. So without further ado, here are the most notable games released this week. Welcome to the roundup of the best new Android applications that went live in the Play Store or were spotted by us in the previous week or so. Today I have a social podcast app, a self-driving car service app, and a tie-in release that will help you set up the newest Harmony remote. So without further ado, here are the most notable Android apps released in the last week. Welcome to the roundup of the best new Android games that went live in the Play Store or were spotted by us in the previous week or so. Today I have an excellent simulation game where you build your own construction company from the ground up, a unique story-driven puzzle game from the creator of You Must Build a Boat, and the official release of the sequel to the spooky adventure game Distraint. So without further ado, here are the most notable games released this week. 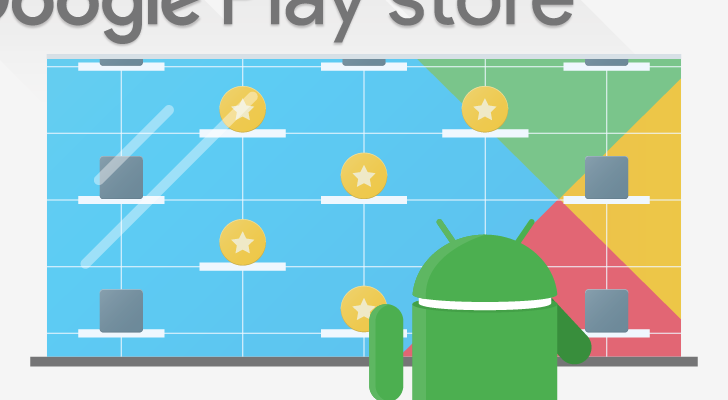 Welcome to the roundup of the best new Android applications and live wallpapers that went live in the Play Store or were spotted by us in the previous two weeks or so. Today I have an awesome new email app that's finally made its way from iOS to Android, a new release from Chainfire that can add a notification light around the camera cutout in Samsung Galaxy devices, and a virtual reality app from the New York Times. So without further ado, here are the most notable Android apps released in the last two weeks. Welcome to the roundup of the best new Android games that went live in the Play Store or were spotted by us in the previous week or so. Today we have a Lovecraftian card-based roguelike, the return of Sega's After Burner Climax as a free-to-play release, and an excellent endless runner all about racing sandworms. So without further ado, here are the most notable games released this week. Welcome to the roundup of the best new Android games that went live in the Play Store or were spotted by us in the previous week or so. Today we have the early access release of The Elder Scrolls: Blades, the official launch of the beautiful skiing game Grand Mountain Adventure, and a console-quality rally racer. So without further ado, here are the most notable games released this week. Welcome to the roundup of the best new Android applications that went live in the Play Store or were spotted by us in the previous week or so. Today we have an awesome battery display app that can place a ring around your newfangled cutout camera, an interesting app that can display your photos on a map in the precise location the photo was taken, and an encrypted file sharing app from Firefox. So without further ado, here are the most notable Android apps released in the last week. Welcome to the roundup of the best new Android games that went live in the Play Store or were spotted by us in the previous week or so. Today I have the release of a beautiful platformer that's been absent from the Play Store for the last ten years, a quality card-based mini-golf game, and this year's version of R.B.I. Baseball. So without further ado, here are the most notable games released this week. Welcome to the roundup of the best new Android applications that went live in the Play Store or were spotted by us in the previous two weeks or so. Today I have an excellent notification scheduler, a camera hole wallpaper app from Chainfire, and a Dota Pro Circuit app from Valve. So without further ado, here are the most notable Android apps released in the last two weeks. 22 best new Android games released this week including Stardew Valley, Returner Zhero - Final Cut, and Where's Om Nom? Welcome to the roundup of the best new Android games that went live in the Play Store or were spotted by us in the previous week or so. Today I have the long-awaited farming sim release Stardew Valley, the sequel to the gorgeous puzzle adventure game Returner 77, and a virtual reality release that stars everyone's favorite frog from the Cut the Rope franchise. So without further ado, here are the most notable games released this week.